He went beyond the Jordan River near the place where John was first baptizing and stayed there awhile. And many followed him. Relate: Do you still have one of those old Bibles that actually used paper? I remember those days. If you do (or have access to google) look at a map of Israel in the time of Jesus. East of the Jordan you should see two words, Perea and the Decapolis. These are gentile lands. Even though non-Jews would be the majority, there would still be many Jews living in these areas and the mindset and culture of the people would not be that much different from Judea proper. Although language and culture would bleed across both sides of the river, the Jordan is a natural barrier between Israel and the goyim, the other. Now look at a map of Israel in King David’s time. What do you see over there? Moab and Ammon. These would have been subject kingdoms under David and Solomon’s rule but again, the Jordan marks a divider. What about today? 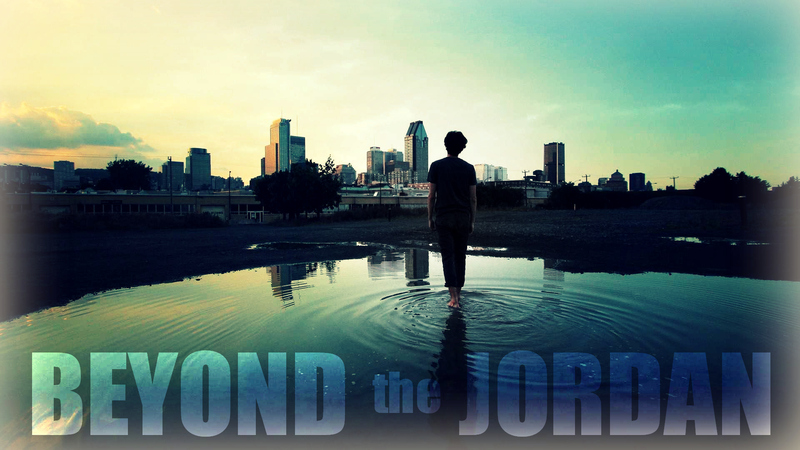 Across the Jordan lies… Jordan. The Kingdom of Jordan is a Muslim state. Two of its major cities are Maan (Moab) and Amman (Ammon). While it has made a huge sacrifice in being a place of refuge for those fleeing the Syrian regime and ISIS. it is certainly no friend to Israel. React: Jordan is and always has been a natural border between us and other. Jesus very specifically and intentionally crossed that border. I have a “Jordan” in my life. So do you. It is called my comfort zone. Everyone on this side of that border is familiar. It may not be easy, but I know and understand it. It is relatively safe. Crossing that border… that is like stepping out of a boat to walk on water in a storm. It is certainly not safe. It is most definitely not comfortable. I think I will stay right here on my side of the Jordan, thank You. But following Jesus means that sooner or later I will have to cross my Jordan. If I do not than I cannot honestly call myself a follower of Him. He has crossed it, and so must I. Where is He calling us to go? What is He calling us to do? Will we obey? If we are living a safe life, if we are living a comfortable life, then we are not living a Christian life. God, give me the courage to go. You have called me to cross the Jordan. You have called me to step out of the boat. Give me the courage to follow. You have provided a lot of food for thought, BJ. An excellenrt writing. Wow. Timely in my life. Well written and much valued. Yes, God does not call us to be comfortable! My Jordan is always in front of me. When I think I have crossed it, there it is again in front of me. I live on the border where a river divides Spain and Portugal. We cross it all the time and I can see it from my house. But the borders we are considering are there to cross each moment of every day. We don´t see them but if we will follow Jesus, we have to be willing to step over there with Him! Write on my friend BJ! And let us all take those steps!